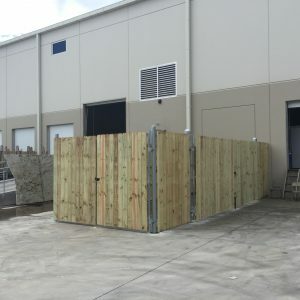 Pictured here is a 8′ tall wood dumpster enclosure set with metal posts. This enclosure has a double drive gate as well as a single, smaller pedestrian gate so the person dumping the trash does not have to open the 12 DD gate. 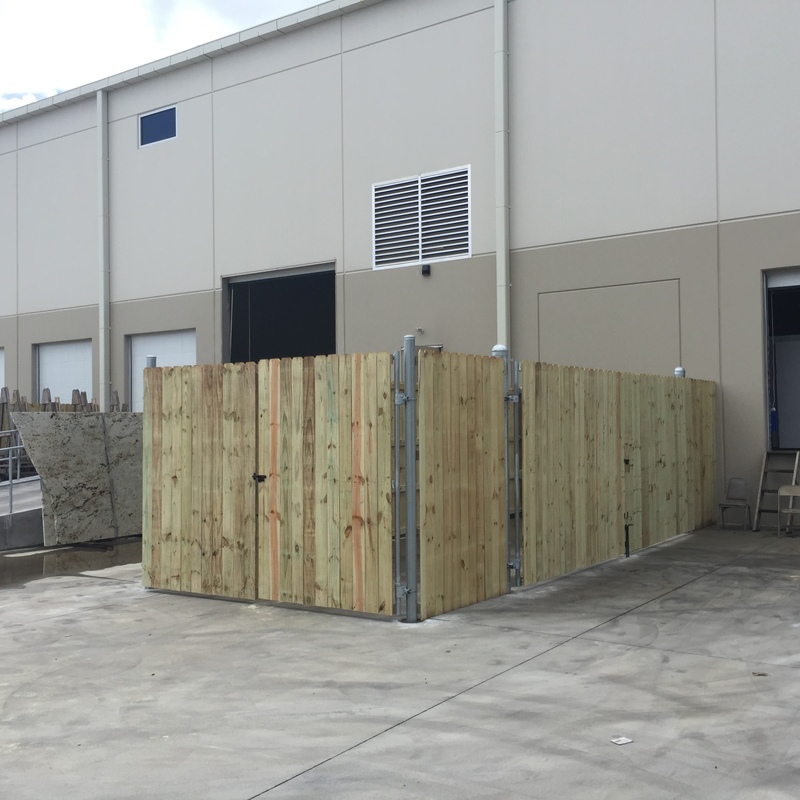 Complies with new standard for dumpster enclosures in the City of North Charleston.